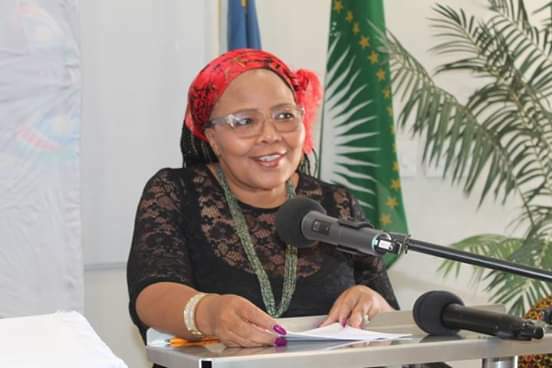 The Minister of Education, Arts and Culture, Katrina Hanse-Himarwa officially announced the release of the national examination results of the 2018 Grade 10 Junior Secondary Certificate and the Grade 12 Namibia Senior Secondary Certificate Higher Level results in Windhoek. The Junior Secondary Certificate is being phased out this year for the full–time candidates and will be offered to part-time candidates only. This opportunity is given to the candidates who wish to improve their performance in 2019. Once again, as a nation, we have reached that time of the year where the Ministry of Education, Arts and Culture must account for all the hard work and investment, put into the 2018 academic year by the learners, teachers, schools and parents. The Ministry of Education, Arts and Culture is mandated to provide inclusive quality education to the learners, hence, it is appropriate to inform the nation on the outcomes of teaching and learning activities during the 2018 academic year. As the Minister entrusted with this very important task of providing education to our learners, I have the honour to announce the results of 2018 Academic year for the Junior Secondary (JSC) level and Namibia National Senior Secondary High level. The Ministry takes pride in the team that made this possible despite the challenges that we faced with as a Ministry of Education. The entire Ministry and in particular, the Directorate of National Examinations and Assessment, the Regional Education Directorates, markers, parents and learners are indeed appreciated and given a round of applause for the smooth administration of 2018 National Examinations. Significant strides have been made in the implementation of the revised curriculum, and therefore the results of this year are surely historic. The Junior Secondary Certificate is being phased out this year for the full–time candidates and will be offered for part-time candidates only. This opportunity is given to the candidates who wish to improve their performance in 2019. Against that background, ladies and gentlemen, the Junior Secondary Level results for the full-time, part-time and NSSC Higher level candidates are to be announced simultaneously in all the regions on Thursday, 20 December 2018 at 08:00 am. The details of sources where and how results can be obtained were shared via the media and are also attached to this Press statement. These include the website of the Ministry of Education, Arts and Culture. In addition to that, the print media as well as short message services (sms) will avail the results throughout the country. The Ministry of Education, Arts and Culture relies heavily on the complementary roles played by the distance education institutions both public and private; and for that, we extend our appreciation for preparing the part-time candidates. Ladies and Gentlemen, allow me to announce the results of Grade 10 full- time and part-time candidates as well as Grade 12 Higher Level that will be made public tomorrow in all the fourteen regions. SUMMARY OF THE RESULTS FOR THE JUNIOR SECONDARY CERTIFICATE (JSC) GRADE 10 EXAMINATION FOR FULL–TIME CANDIDATES. In total, 44 863 full-time Grade 10 candidates sat for the final JSC examination compared to the 40 599 candidates of 2017. This shows an increase of four thousand, two hundred and sixty four (4,264) candidates representing a 10.5%. The National Junior Secondary Certificate (JSC) Grade 10 Examination covers 35 subjects and 126 components (papers). The Ministry kept the maximum points at 23 and F grade as a minimum symbol in English for admission to Gr.11 in 2019. Out of 44 863 candidates who sat for the Grade 10 full-time examination in 2018 at 731 schools, 23 911 candidates, representing 53.3% have qualified for admission to grade 11 for 2019 compared to 22 363, (55.3%) in 2017. The statistics indicate a drop in the performances of the candidates with 2.0% between 2018 and 2017. The results of the 62 hearing and visually impaired candidates who sat for the JSC exams will be released together with the rest of the Grade 10 candidates. These candidates wrote at 3 different centers under special conditions according to their individual requests. As per the decision of the National Examination, Assessment and Certification Board in March 2015, promotion requirements for the hearing and visually impaired candidates have been set at a minimum of 19 points and F grade (symbol) in English. From the total of 62 visually impaired candidates who sat for the Grade 10 national examinations,19 (30.6%) met the requirement for promotion to Grade 11 in 2019. One center recorded 78,9% promotion of which 15 out of 19 candidates met the requirement with the highest scorer obtaining 37 points. This is a commendable work and a remarkable achievement which indicates concerted and genuine efforts by learners with special needs. 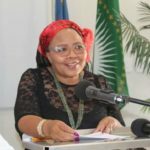 Overall, the number of candidates qualifying for admission to Grade 11 in 2019 may increase depending on the performance of part-time candidates who sat for 2018 National Examinations at registered part- time institutions such as NAMCOL. Based on the trends over the past years, an estimated number of 2500 part- time candidates may qualify for admission to Grade 11 in 2019. COMPARISON OF SOME ASPECTS OF THE 2018 GRADE 10 EXAMINATIONS WITH PREVIOUS EXAMINATIONS. Annexure A shows some aspects of the 2018 and 2017 JSC examinations for full- time candidates in all subjects. Table 1 gives the percentage of candidates at each grade (symbol) from the highest grade (A) to the lowest grade (G) over a period of five years. Therefore, the percentage of candidates appearing under grade (A) represents those having obtained A grade only, the percentage under B represents those who obtained B only, the percentages under C represent those who obtained C only and so on. (Please note these percentages are not cumulative percentages). The results show an average drop of 0.4 % for Grades A to E whereas an increase of 0.1% and 1.0% is observed at grades F and G respectively. This shows a slight shift towards the F and G grades. The ungraded entries increased with 0.8% while 96.1% candidates were graded throughout the nine (9) subjects. The pie-chart below shows the percentage performance of the candidates per grade as indicated in the table above. Table 2 gives the comparisons of the 2018 and 2017 results at the higher (Grades A + B + C), intermediate (Grade D + E), and the lower (Grades F+G) grade ranges. It is evident that the shift is slightly to the lower grades than the higher grades when comparing the performance over the past three years. Table 3 gives the cumulative percentages of candidates at the various grades. The cumulative percentage at a specific grade, e.g. Grade C, represents the percentages of candidates having obtained a Grade C and above (Cumulative). The data in table 3 is represented on the below bar chart that shows the difference in cumulative percentages between 2018 and 2017. It is evident from the above data that the overall performance of the candidates is slightly poorer with an average drop of 1.1% in A-G grades when compared to 2017. As a result, the percentage for the ungraded candidates increased slightly from 3.1% in 2017 to 3.9% in 2018 showing that the candidates performed poorer this year with 0.8% increase in the ungraded entries. The ministry analyzed the results in the following compulsory subjects in order to observe the performance of the learners per region against the national performance in percentages. The data in the above table indicates a slight drop in performance in all the subjects except in Life science where an improvement of 0.6% can be observed. From the table above, five regions with the highest averaged mark compared to the national average per subject have been listed. The Ministry appreciates the efforts made by respective regions to bring improvement in specific subjects which will ultimately propel the Ministry to the next level. The results indicate that the same regions are still performing better than the others in specific subjects just like last year. However, a drop in percentages in all the subjects is evident throughout the performance of the regions. The NAMCOL remains a highly recognized and relevant institution for learners to upgrade their subject symbols or register for three or less subjects for NSSCO. Therefore all affected learners are encouraged to register for tuition as well as for examination at this institution and other part-time centres registered with the Ministry of Education, Arts and Culture in a timely fashion. The Vocational Training Centers through the Namibia Training Authority is also available as an avenue to further the academic careers of those who are willing to follow that path. Candidates that are 17 years and younger and who wish to remain in formal schooling may join the new curriculum at Grade 9 level at the school which he/she attended or elsewhere and may be admitted provided space is available. A total of 11 222 part-time candidates were registered for JSC examination at the Namibian College of Open Learning (NAMCOL) and other various distance education institutions registered with the Ministry of Education, Arts and Culture. Overall when analyzing the accumulative percentages, the results reflect that part-time candidates performed poorer at higher grades A – B with (1.6%), C- D with (20.4%) and lower grades E and G stands at (87.6%). This means that the candidates did not perform well and shifted more towards the lower grades. In total, the percentage ungraded is 12.4 for part-time candidates. It is noted that part-time candidates obtained a mean mark above 50 in all African Languages excluding Khoekhoegowab. In other languages, Afrikaans Second Language is the best performed subject with the mean mark of 47.7 while Accounting is the subject with the lowest mean mark of 24.9. The Grade 12 examination is taken at two levels namely, NSSC Higher and Ordinary Levels. At this stage, we will only be releasing the examination results for NSSC Higher Level. However, the finalization of the NSSC Ordinary level results (full-time and part-time) is at an advanced stage and will be released early in January 2019. A total of seventeen thousand nine hundred and sixty eight (17 968) candidates, comprising of sixteen thousand nine hundred and thirty two (16 932) full-time and one thousand and thirty six (1036) part-time candidates were registered for NSSC Higher Level subjects. The number of Higher Level candidates increased by one thousand six hundred and seventy two candidates (1 672) representing (10.3%) when compared to 2017. The 2018 results indicate an improved performance at Grades 1, 2 and 3 whereas a slight drop of 0.6% is observed at Grade 4. Only 6.1% candidates were ungraded in different subjects. The graded entries decrease with 0.6% from 94.5% to 93.9%between 2017 and 2018. This year, 85.5% of the part-time candidates were graded in different subjects. The results show that 66.0% candidates obtained Grade 3 and better grade in comparison of 65.8% of the candidates who obtained Grade 3 and better grade in 2017. Grade 3 is a minimum requirement for admission to Universities. Therefore with the combination of Higher Level and Ordinary Level subjects, a significant number of candidates may qualify for admission to Universities. The Ministry thus encourage learners who have successfully completed grade 12 to seek admission for further studies at institutions of higher learning locally, regionally and internationally. c) Two national prizes for the best performance in five NSSC Higher Level subjects (one male and one female N$1 200-00 each). In summary, 53.3% of 2018 candidates who wrote the Grade 10 (JSC) examination met the minimum requirements of 23 points and an F symbol in English for admission to Grade 11 in 2019. The overall performance of the candidates is slightly poorer in all the grades compared to 2017. At Higher Level, the outcome of 66.0% for Grades 1 to 3 is commendable and the candidates are congratulated for a job well done. Although we worked tireless to make the year 2018 a memorable one, the results unfortunately not meet our expectations. Nonetheless, every year is a new opportunity for scholars to work towards a better future. The Ministry urges all the schools with their staff to do a thorough analysis of the results and come up with ways of improving the performances in all the subjects for Higher Level particularly. Equally, as it was done in the past, the Regional Directors, once Ordinary Level results are released, will have consultative meetings in their respective regions to deliberate on the results, quality assurance and specific interventions. May I take this opportunity to congratulate all the candidates on their results and wish them a Merry Christmas and a Prosperous 2019. Our special congratulatory message goes out to all outstanding performers for their excellent results. The Ministry is hereby encouraging Regional Education Directorates to explore measures on how best to improve their results regionally and at school level.